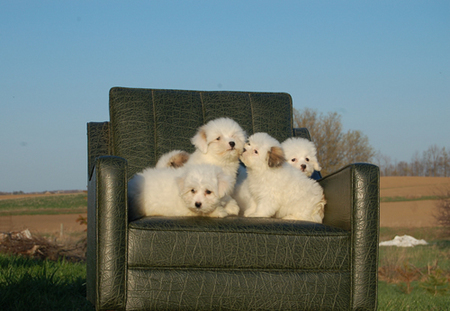 Watch for our beautiful new litter of Coton Jewels due this summer. Take a look at the photos of the litters available now. They come with their first shots, vet checked, dewormed and microchipped. We also provide a one year health guarantee. This next upcoming litter will be available for adoption sometime in August. They love visitors, drop in to see them. Give us a call to reserve your puppies now. Also, browse through the gallery of photos of our previous litters here and check out a number of images of our current puppies that have found their new homes on the 'Most Recent' page.